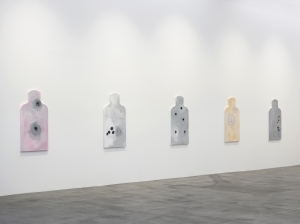 Nils Stærk is proud to present Gardar Eide Einarsson's fifth solo exhibition in the gallery. 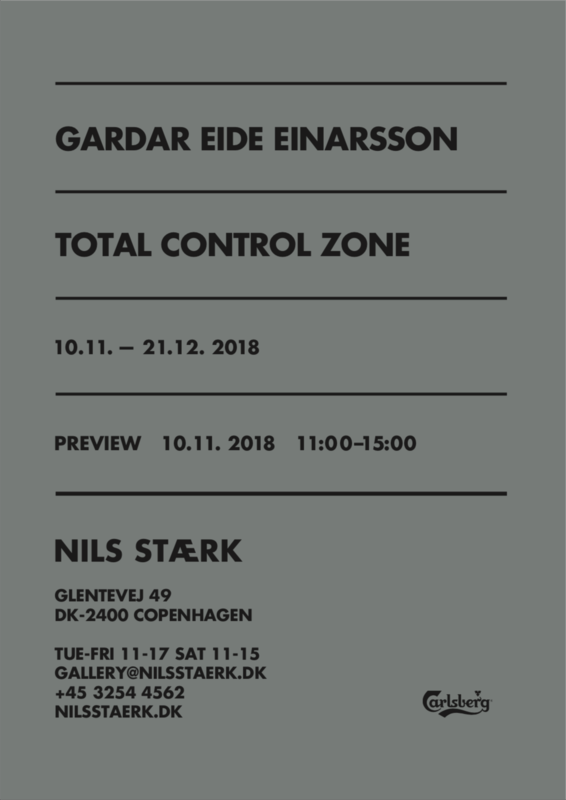 Einarsson examines the balance of power between state and individual in his current exhibition: TOTAL CONTROL ZONE - a series of new works, which relate to the way the body interfaces with the state. 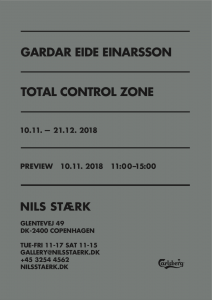 The exhibition title TOTAL CONTROL ZONE comes from the term for the strictest security level within the notorious North Korean concentration camps. 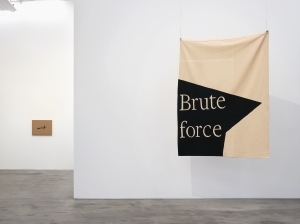 The term can also draw the mind to a more general dystopic endpoint of state mass surveillance of the individual - a reality that draws closer with the advent of advanced technologies and artificial intelligence. 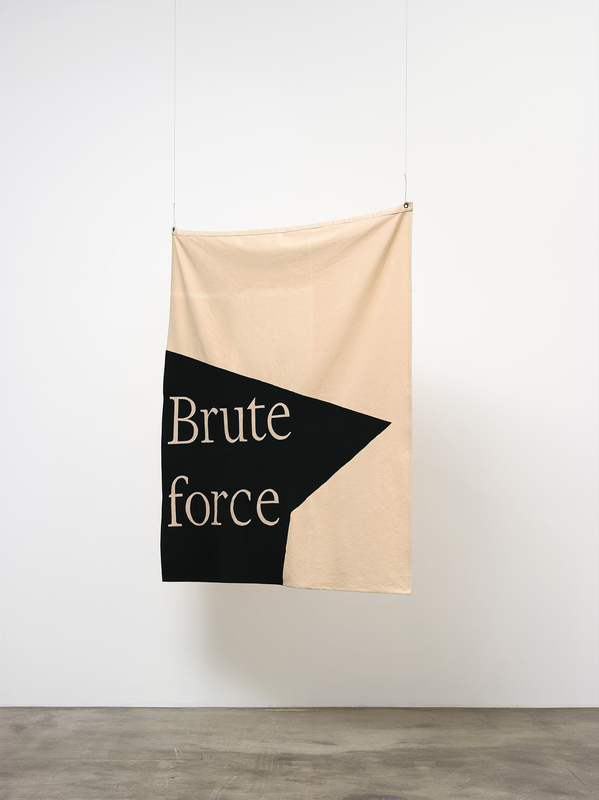 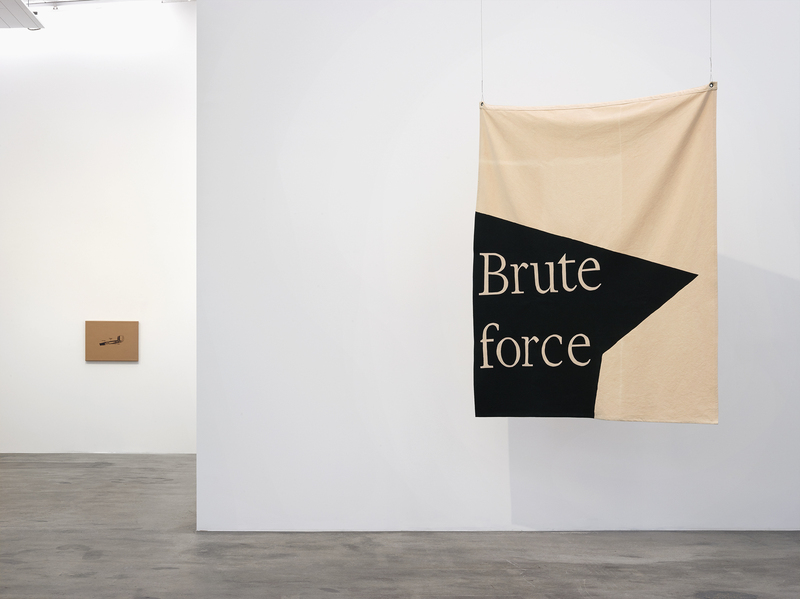 In his current exhibition, Einarsson presents a series of new works which raise questions about how individuals relate to state control, sometimes desiring it, sometimes resisting it, sometimes falling victim to it. Gardar Eide Einarsson's works are direct and uncompromising in their interpretation of the social dichotomies of society. These are brought into play through two kinds of images: associative images and images that are being decontextualized and converted into paintings and installations. 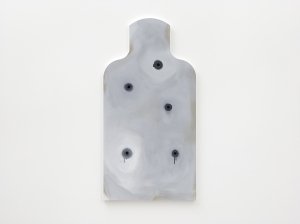 The human body is a continuous motif in the exhibition as the site where repression becomes a lived reality and is represented in a series of five new paintings with the collective title Common Errors. 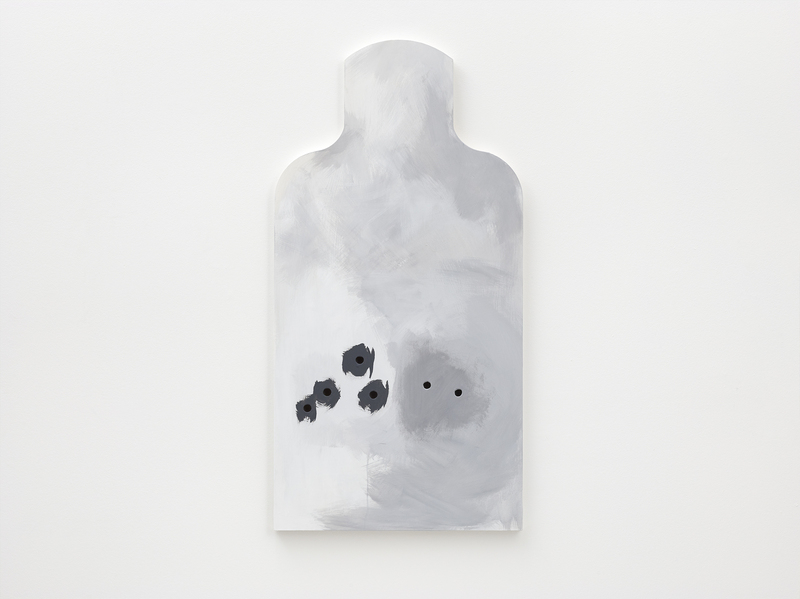 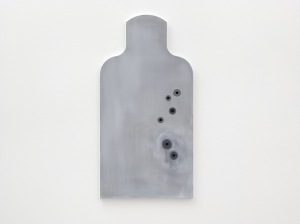 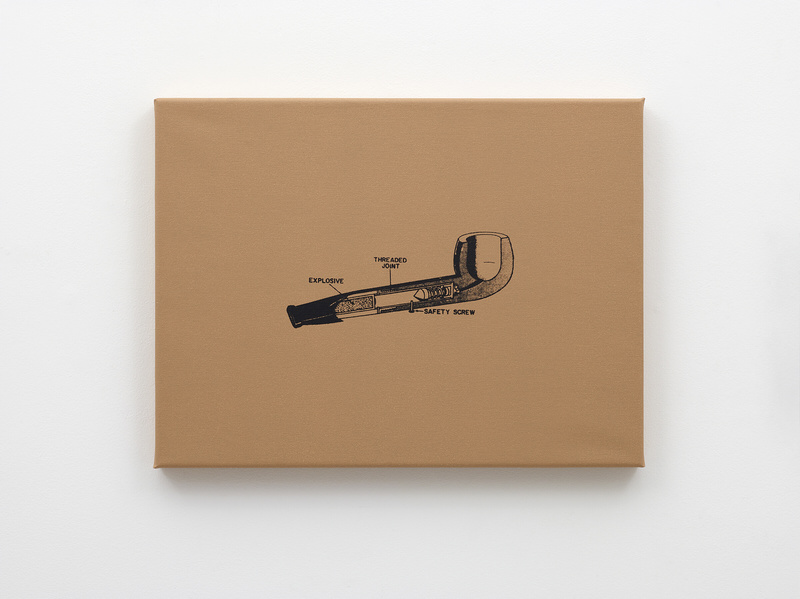 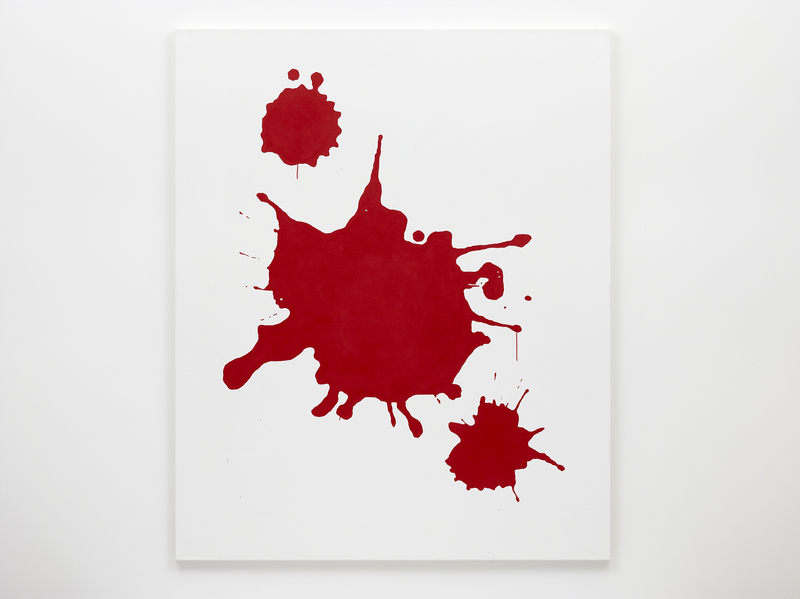 These paintings, based on illustrations of common errors when firing handguns from a police and military training manual in the 1960s, have been penetrated where the bullets would have entered the target, recalling the real physical violence of the bullet as well as the pierced paintings of postwar-artist Lucio Fontana. 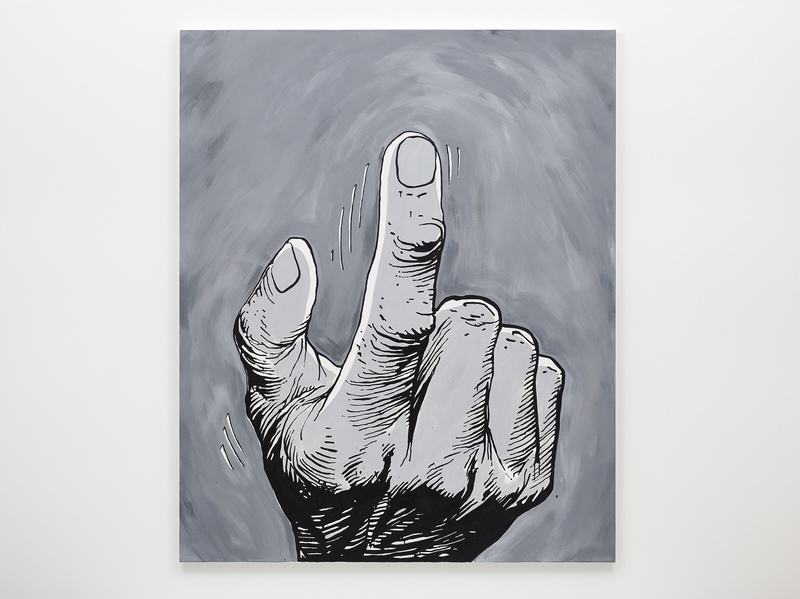 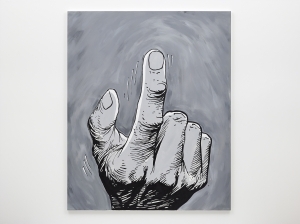 The anthropomorphic theme is continued in two other paintings: one based on a cartoon set in the Vietnam war depicting a caricatured fist of an officer with an outstretched index finger summoning the audience to join him in war. The second is based on a book cover of an inflammatory 1960s tome titled The Riotmakers where red splotches of paint merge with a white background cleared from information, which next to the pierced silhouettes, brings memories of abandoned human traces. 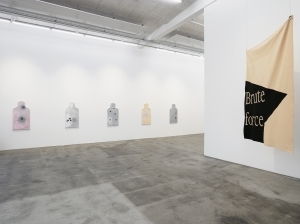 Gardar Eide Einarsson (Born 1976, Oslo, Norway) Lives and works in Tokyo. 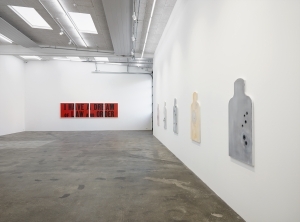 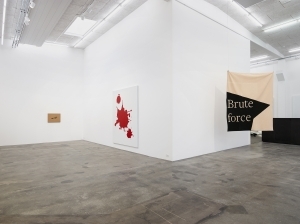 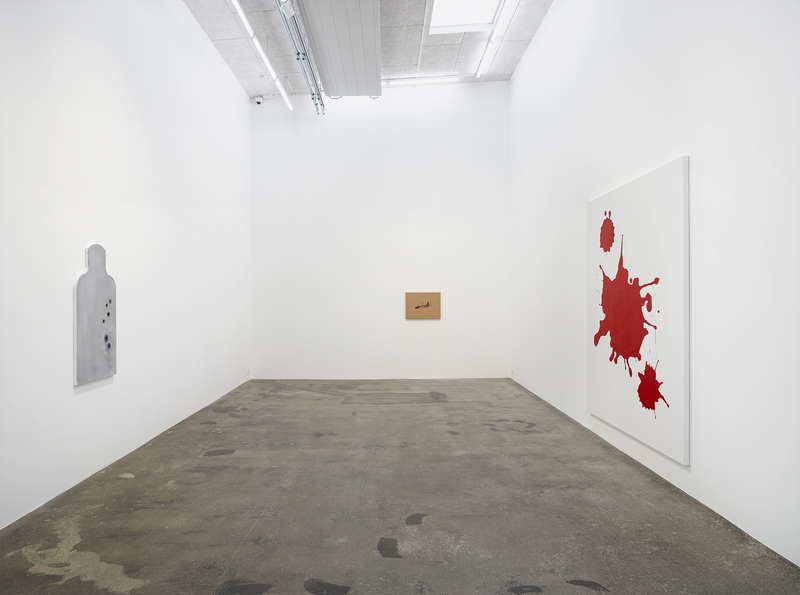 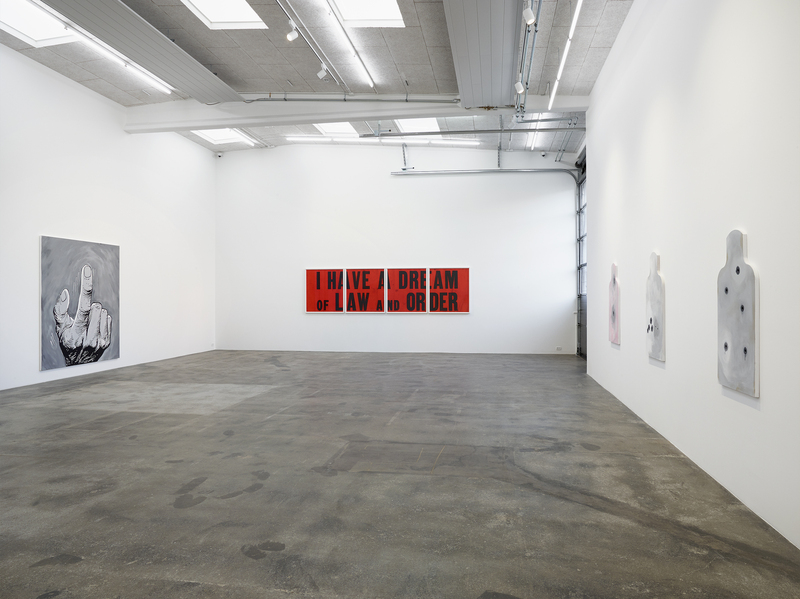 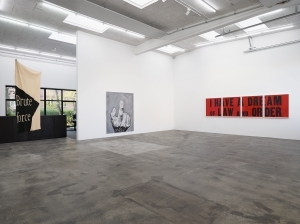 Einarsson is currently having solo exhibitions at Team Gallery, New York and Standard (Oslo). Previously Einarsson has been showing at several institutions all over the world, amongst others; Kunsthalle Fridericianum (solo); Kunstverein Frankfurt (solo); Centre d'Art Contemporain, Geneva (solo); Contemporary Art Museum St. Louis (solo); The Modern Art Museum in Fort Worth (solo); The Museum of Fine Arts, Gifu, Japan; ARoS Aarhus Art Museum (solo); Museo Jumex, Mexico; Astrup Fearnley Museum of Modern Art (solo); Bergen Kunsthall (solo); Magasin 3 Stockholm Konsthall; Kunsthalle Wien; National Gallery of Art, Warsaw; Museo Tamayo, Mexico City; Bonniers Konsthall, Stockholm (solo); Garage Center for Contemporary Culture, Moscow; Reykjavík Art Museum, Reykjavík (solo). 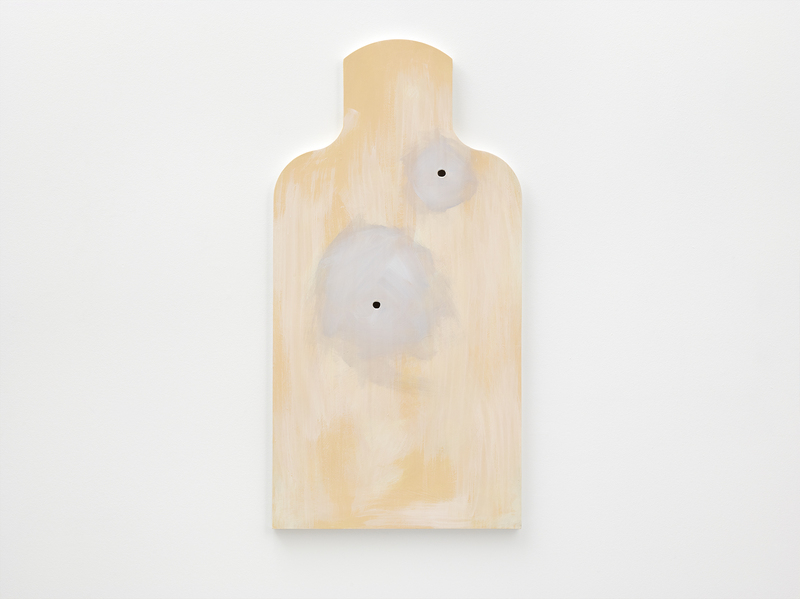 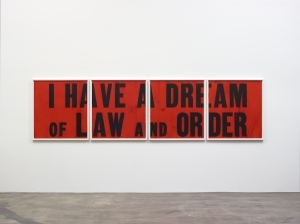 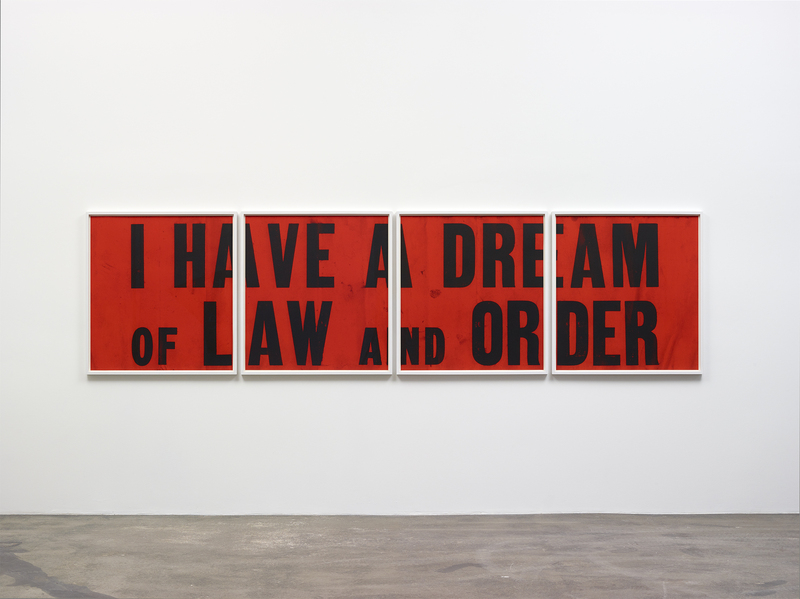 Einarsson's work is represented in numerous public collections including MoMA, New York; SFMoMA; Berkeley Art Museum; La Coleccion Jumex, Mexico; Astrup Fearnley Museum of Modern Art, Oslo; Malmö Art Museum; Rubell Family Collection, Miami; Bass Museum of Art, Miami Beach; ARoS Aarhus Art Museum; LACMA; MOCA, Los Angeles; Moderna Museet, Stockholm; Nasjonalmuseet, Oslo and Museum für Moderne Kunst, Frankfurt.